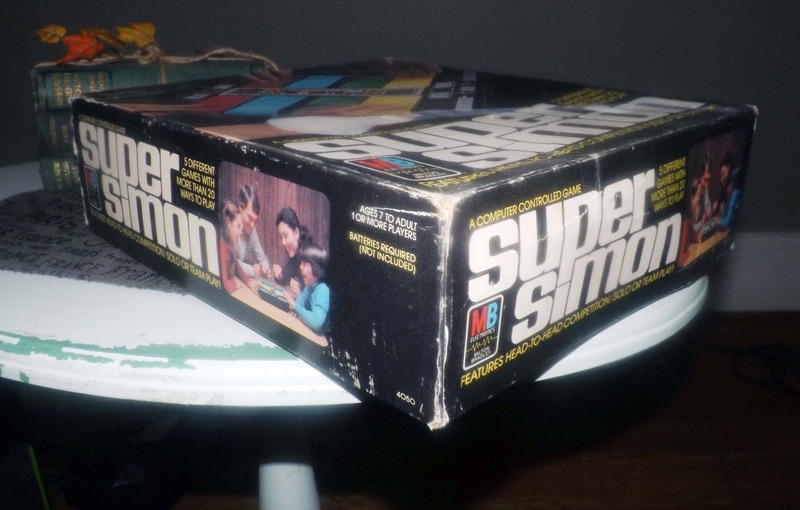 Vintage (1979) Super Simon electronic board game published in Canada by Milton Bradley. Complete and working. 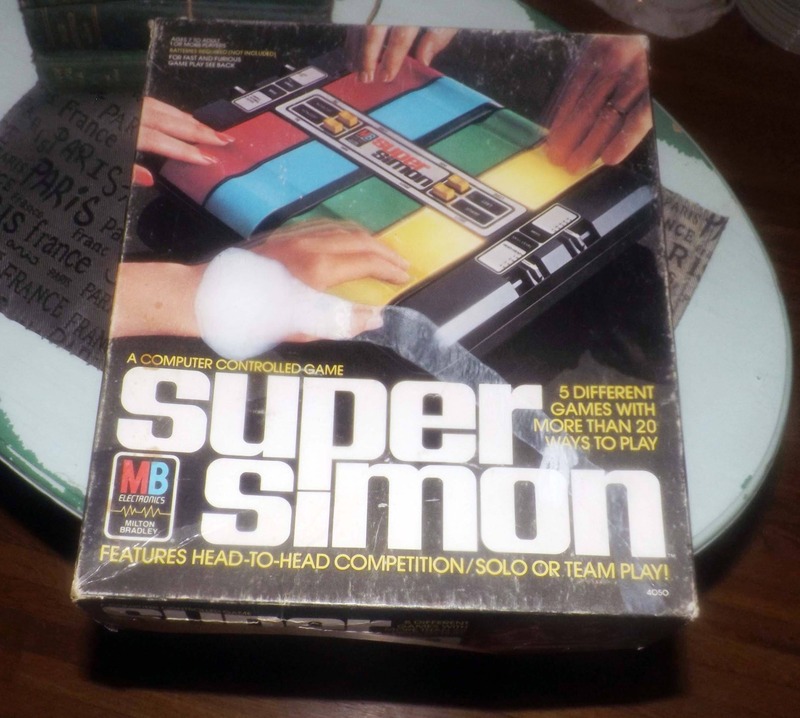 Vintage (1979) Super Simon electronic | computer-controlled board game published in Canada by Milton Bradley. THIS GAME HAS BEEN INVENTORIED AND TESTED AND IS COMPLETE AND FULLY FUNCTIONING. Basic game play instructions, in brief, appear on the back of the box. NOTE: This game requires 1 9-volt AND 2 "D"-sized batteries that are NOT included with the game. Game overview (from boardgamegeek.com): Super Simon - Play head to head, individually or as a team. Contains 5 different games, 4 skill levels and 3 speeds. 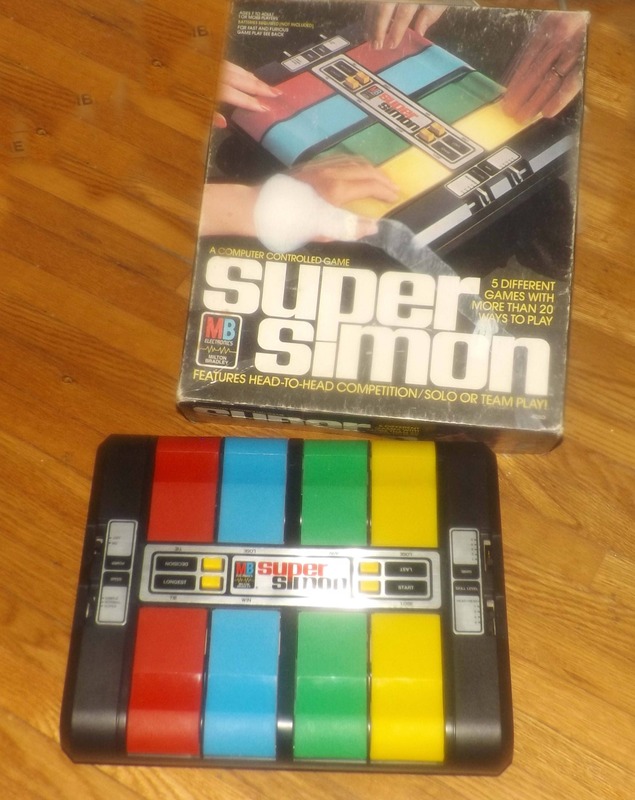 Gameplay is like original Simon but has 8 colored buttons instead of 4.. Generally, players need to repeat a sequence of increasingly long sequence of button presses. The sequence starts with one button and each time the sequence is repeated successfully, another button is added to the end and the player(s) need to now repeat the longer sequence. 1. In game one, one or more players take turns repeating the sequence. 2. In game two each player controls one or more colors and has to press their assigned color at the correct time or that color is eliminated. 3. In game three, Simon randomly determines which player needs to complete the sequence. 4. In game four, the color and timing of the presses needs to be repeated by the players. 5. In game five, you have to press the button as Simon lights it. There is no sequence to memorize. Game condition: This game is in, as stated, complete and fully working condition. 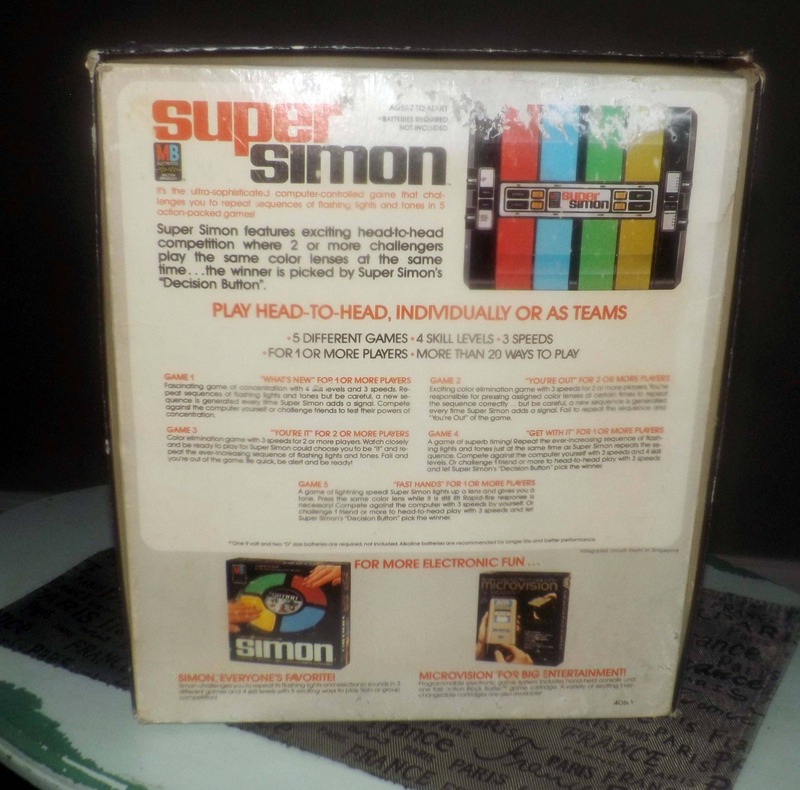 The Super Simon console is in EXCELLENT! condition with NO! nicks or dents to the plastic chassis. All of the large, colored keys | buttons depress easily and work as they should. All of the slide controls operate as they should. The game box has shelf wear, but far less than might be reasonably expected for a game from the late 1970s although one of the side panels on the lid is quite faded but still legible. The lid has tape to the corners and there is rub | wear to the each of the corners, top and bottom. There is a blemish to the front of the box where part of the imagery is torn. Box graphics are clear and bright with LITTLE fading and box text is fully legible. MULTIPLE PURCHASES AT THE SAME TIME? Use the Combined Purchase Discount coupon at check-out! Coupon code COMBINEDITEMDISCOUNT saves you 20% on your entire order from BuyfromGroovy when buying more than one item at the same time from the shop.NOTE: Special Vintage Board Game and Jigsaw Puzzle sale policy applies to this item. Read the details of this policy in the Shop Policies section of the store. NOTE: The Vintage Board Game and Jigsaw Puzzle sale policy applies to this item. Read the details of this policy in the Shop Policies section of the store.